This year, we shipped twelve major releases of Jetpack — one a month, like clockwork — with dozens of improvements and new tools. This year, we rebuilt VideoPress from the ground up, did a major overhaul of the settings interface, and redesigned the hugely popular contact form. A full settings redesign makes Jetpack more intuitive for everyone. We made more than a hundred free WordPress themes available to every Jetpack site. 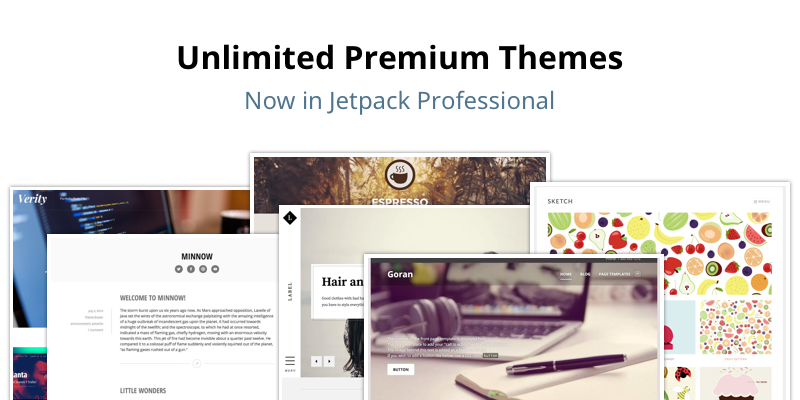 We also added unlimited premium themes for folks running Jetpack Professional. 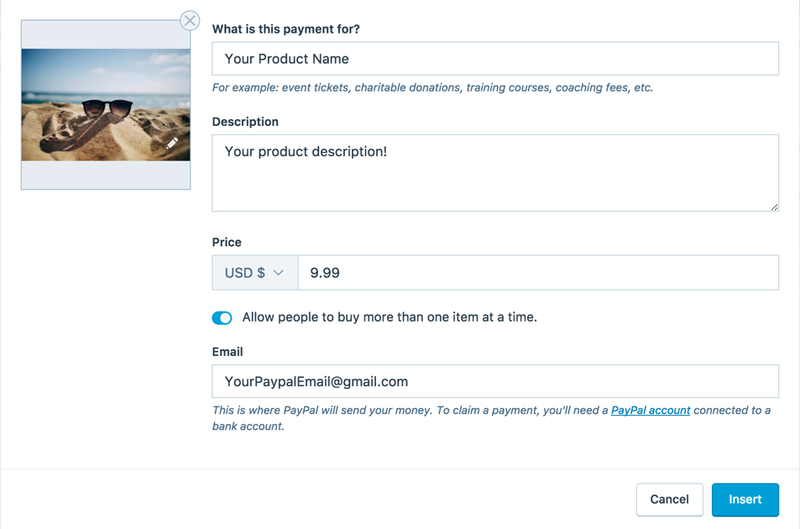 We also launched social media scheduling, a beta version of Elasticsearch-powered search, and added monetization tools like PayPal payments and high-quality ads. Now you can earn money from your site with ads. Easily add our new Jetpack Simple Payments button to earn money selling your products. Google Analytics integration is now a breeze for Professional plan customers, and we now also accept PayPal for plan purchases. We also introduced full support for Android users on the WordPress.com app. And finally, the past couple of months have brought full WordPress 4.9 compatibility, plus ecommerce tracking for WooCommerce users. 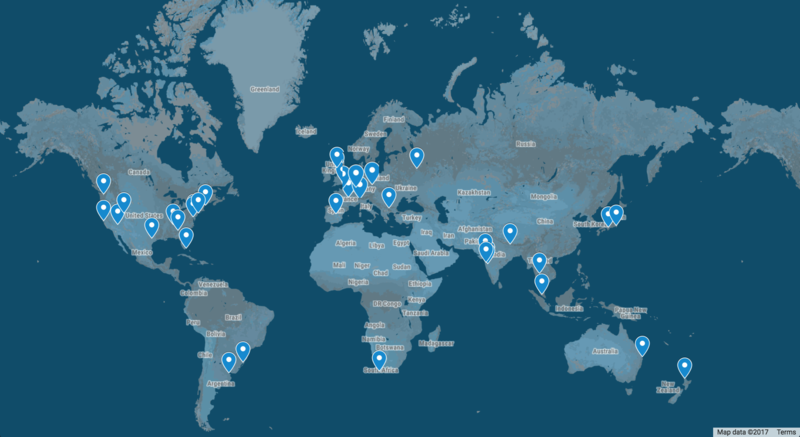 Our team now includes 33 Happiness Engineers in timezones around the globe to provide better coverage and service. We introduced live chat for Jetpack customers for fast, in-the-moment help. Professional plan customers now enjoy concierge service — a face-to-face session to guide you through setup and answer questions. Some of our wonderful Jetpack Happiness Engineers standing by to lend a hand. On top of this fantastic effort by our Happiness Engineers, we’re proud to mention that our automated services are still going strong, too. In fact, Jetpack has now blocked a total of 50 billion malicious login attempts by bots and spammers. We were once again sponsors for WordCamps all over the world. Jetpack had well-staffed booths at major events including WordCamp London, WCEU, WordCamp Nashik, and WCUS. We also proudly sponsored Post Status Publish (Atlanta), YoastCon (Nijmegen), CloudBazaar (Mumbai), and attended World Hosting Days in Germany. Jetpack sponsored and attended events around the world throughout 2017. 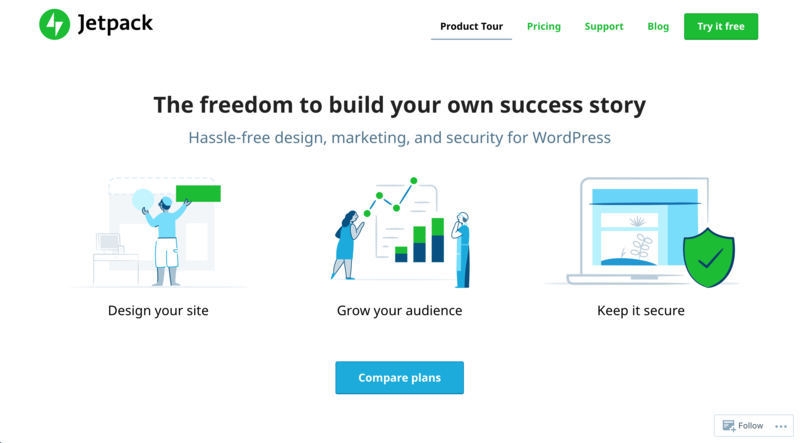 In March, we launched our affiliate program which enables anyone writing about or working with WordPress to refer others to Jetpack plans and share in the revenue. We’re also working closely with hosting companies to bring our unique knowledge of WordPress best practices to the global WordPress community. Ajk Palikuqi, Alexandru Bucur, Andrew Munro, Adrien Missemer, Bartek Wilczek, Benyamin Shoham, Brandon Hubbard, Christian Wach, Crystal Barton, Daniel Swiatek, David Page, Devin Samarin, Gagan Deep Singh, Ignacio Cruz Moreno, Jacob Morrison, James Fraser, Jared Wenerd, Jason Caldwell, Jason Day, Jason Stallings, Jose Jaureguiberry, Kaspars Dambis, Kurtis Rader, Mark Samman, Michael Torbert, Neil Hainsworth, Patrick Rauland, Peter J. Herrel, Richard Gunning, Ross Wintle, Ryan Kanner, Shahul Hameed, Stanimir Stoyanov, Stephen Edgar, Stuart Dum, Takuya Matsuyama, Umang Vaghela, Weston Ruter, Wibowo Sulistio, and Yoga Sukma. The keen-eyed among you will have noticed our logo looks different! It’s not a redesign, but more of an iteration. The Jetpack logotype (that is, the typeface within the logo) is now in sentence case and is cleaner and easier to read. The icon, meanwhile, has sharper lines that play well with the new font and highlight our commitment to helping you create sleek sites. You may also have noticed that our site looks a little different. We now have lighter, fresher colors, brand new illustrations, and a product tour that better explains Jetpack’s benefits. A look at the new Jetpack.com. The really exciting part is that 2017 was just us getting started. 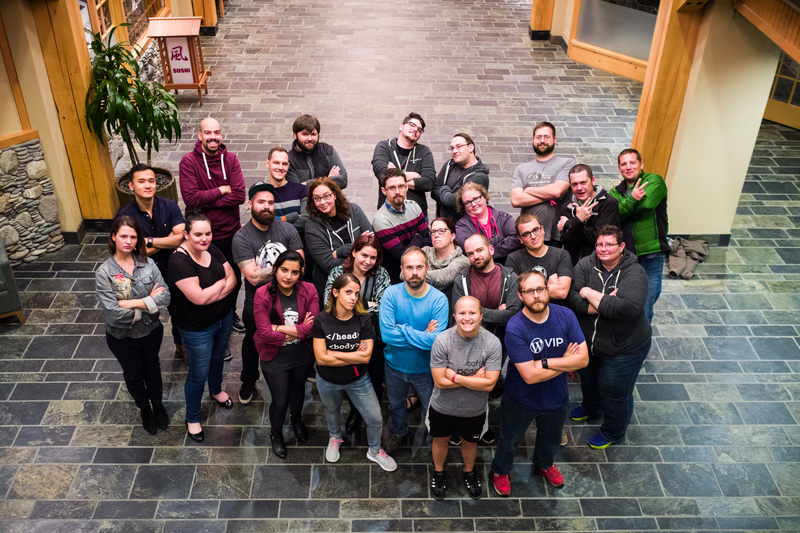 Our 2018 plans include hiring more developers and happiness engineers. So if you’d like to work on great products with smart people from anywhere in the world, send us your application! We’d love to hear from you. We also have some improvements and new features coming that we’re really proud of and excited about sharing with you. We’ll announce the juicy details in February. In the meantime we’ll say that you should be on the lookout for a completely revamped security suite, brand new performance services, and Elasticsearch coming out of beta. This entry was posted in Jetpack News and tagged 2017, 2018, community, Events, support, Themes. Bookmark the permalink. Thanks for all you do. I have had BruteProtect on my site as a separate plugin, yet I “think” this is built into Jetpack? Should I deactivate the separate plugin? I’m concerned that it might not be updated, etc. I just deactivated and deleted Brute Protect – Saved all the whitelisted IP addresses and pasted them into the area to whitelist IP Addresses – Clicked Save Settings and it said it saved, but after going away from the page and back, that area is now blank? Any idea what I might be doing wrong or why they aren’t saved? Thank you for keeping Jetpack going, it is indispensable. Actually, the IP Addresses were saved in Chrome but for some reason, could not see them in Firefox. Could you contact our support folks about this? We can help you figure out if this is a bug or something else. 🙂 Thanks! Awesome job jetpack. Can’t wait to see what you have in store for us in 2918. Thankful for WordPress, Automattic, Jetpack… the entire ‘full-stack’ of related minds here behind all of this continued development. Where WOULD we be without it!? It’s peace of mind security mixed with beauty. You’re all amazing. I hople to continue to learn a fraction of some of it – with the goal of becoming a better front-end (and perhaps full-stack) developer. So much to learn – and feeling secure about it, helps. You spread the love… thx for that too! Great. Jetpack is the best plugin i used. Thank you, Jetpack, for existing and making my WordPress experience better. Looking forward to everything you have for us in 2018! Great job! Your work is fantastic. I’m a Jetpack user and I love it. By the way, is it possible to export all Jetpack stats to an Excel file (*.xls)? Thank you for all the great stuff. Have a good start in 2018! Thanks Team. You’re doing wonderful work up there. Nice but all e-mails sent automatically to the audience (like sharing, subscribing…) are still english-only, non editables and un-translatables… Huge problem for any professionnal website. Jetpack should send emails in the same language you have set for your site (under Settings > General). There is an exception though: if an email is sent to a WordPress.com user, we already know their language preference from their settings, so we use that language instead.